Spring is coming and in some places, it’s already starting to look like spring with the beginning of sunny weather. To celebrate the change of the season, I like altering bottles of every type such as wine, liquor, and Coke bottles. Each one has it’s own potential and beauty. 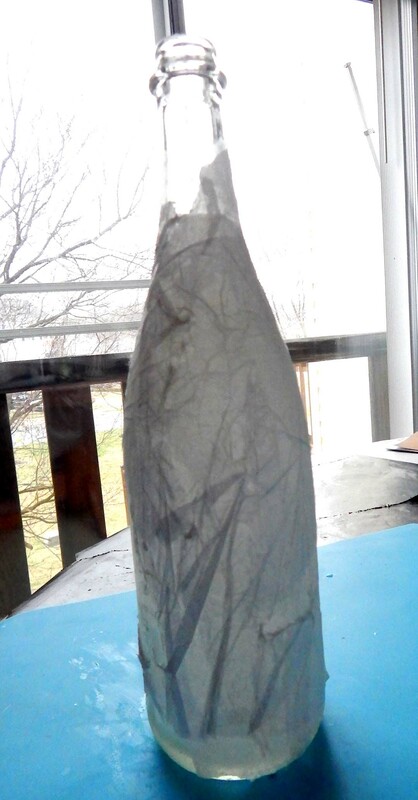 Today’s project is an altered wine bottle, made to look like flowers are springing out (pun intended) with a real zipper and paper mache to cover the glass. This project takes time! Paper mache takes longer to dry so to start this project please carve out a couple days for its completion. 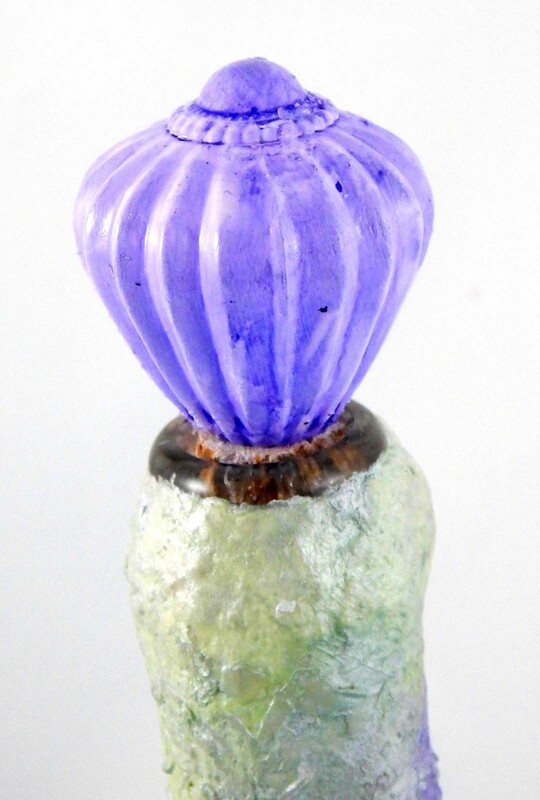 As part of my color palette, I was inspired by Pantone’s Color of the Year, Ultraviolet. For my version of Ultraviolet I used Fireworks! Shimmery Craft Spray Grape Jelly and Lulu Lavender. 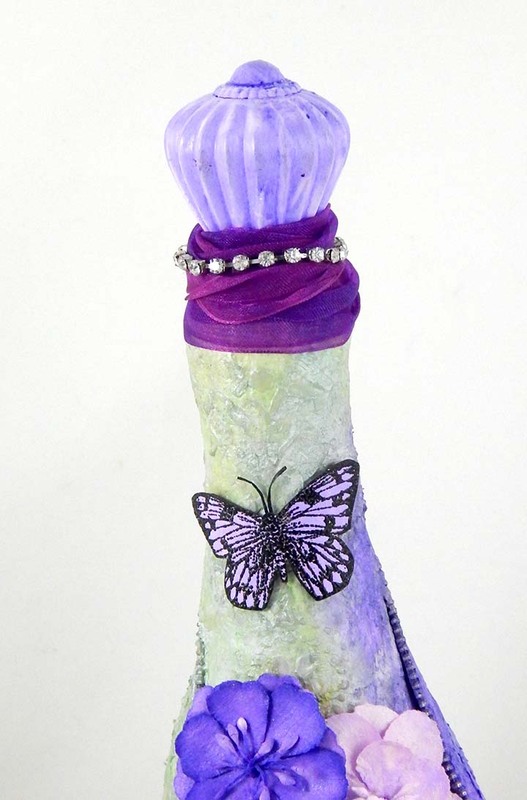 This altered bottle makes a beautiful home décor, centerpiece or just a nice gift. Select a bottle, remove labels and wash it inside and out. Dry completely. Measure the zipper on the bottle, determined where it should open and adjust slider accordingly. 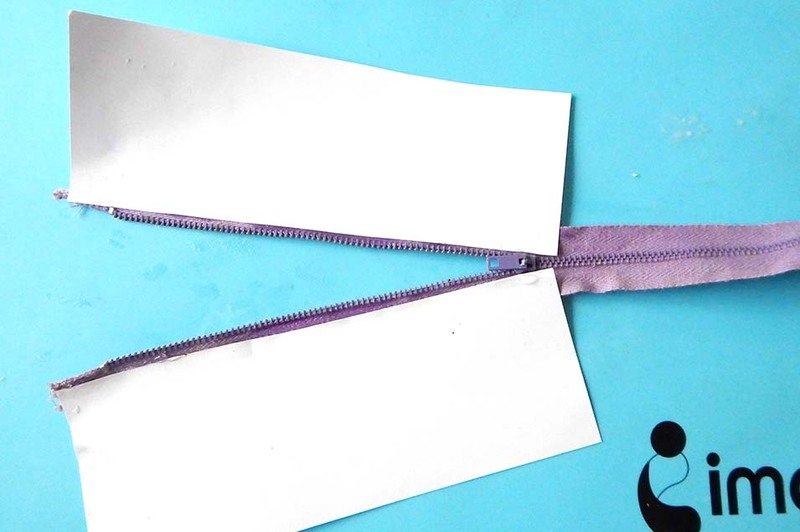 Glue cardstock paper on each side of the zipper, ensuring that the paper is on front facing side of the zipper. Add paper starting from the top of the zipper to where the slider is located. The paper helps to glue the zipper on the bottle and still allows for adjustments to the opening. Glue tissue paper around the area where the zipper will be placed. The tissue makes for a porous surface to color and to glue on the zipper. Let dry. Glue the zipper onto the bottle. 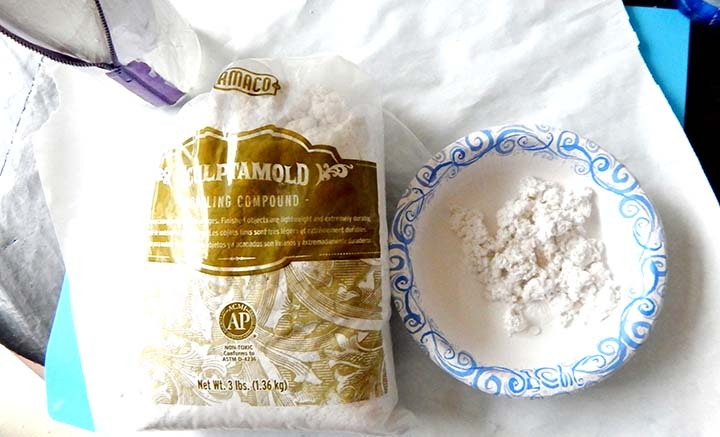 Mix the Sculptamold or other paper mache product with water. Mix in small sprinkles of water at a time until the desired consistency is achieved, which should be similar to cottage cheese. Mix a small portion at a time. Be careful but quick because it sets fast. 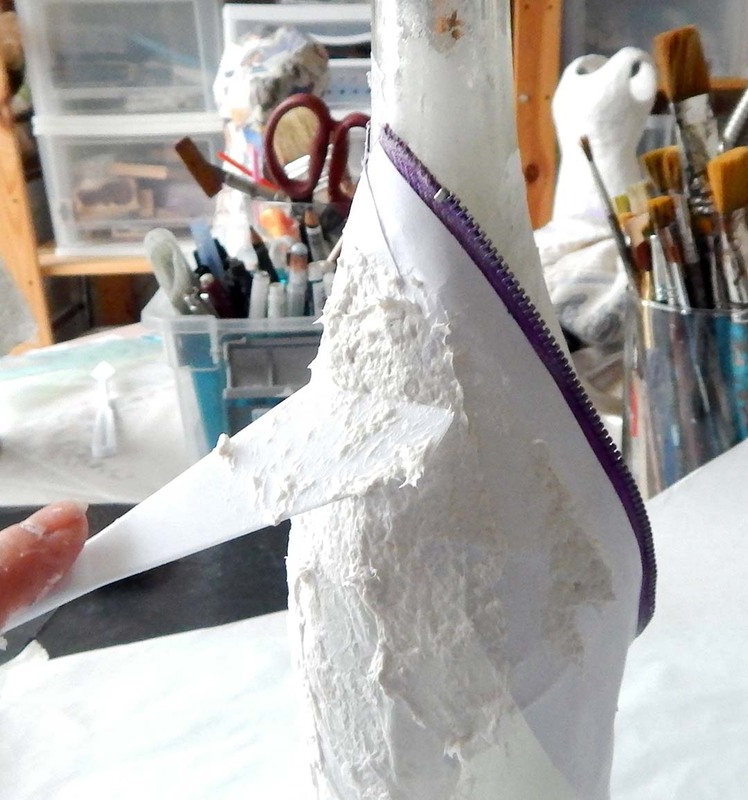 Apply the paper mache with a palette knife around the outside of the zipper. Work time is short—about 15 mins before it begins to set. Spray a little water to smooth the surface. (After it has set, you won’t be able to change it much.) Paper mache is very porous and takes the ink sprays very nicely. It is messy, however. It is water soluble, so clean up is fast and easy. Let the bottle dry for one day or more. Apply more paper mache or molding paste through stencils. The pattern will not come out crisp and clear because of the bumpy surface but that’s what makes it artsy! Let dry. 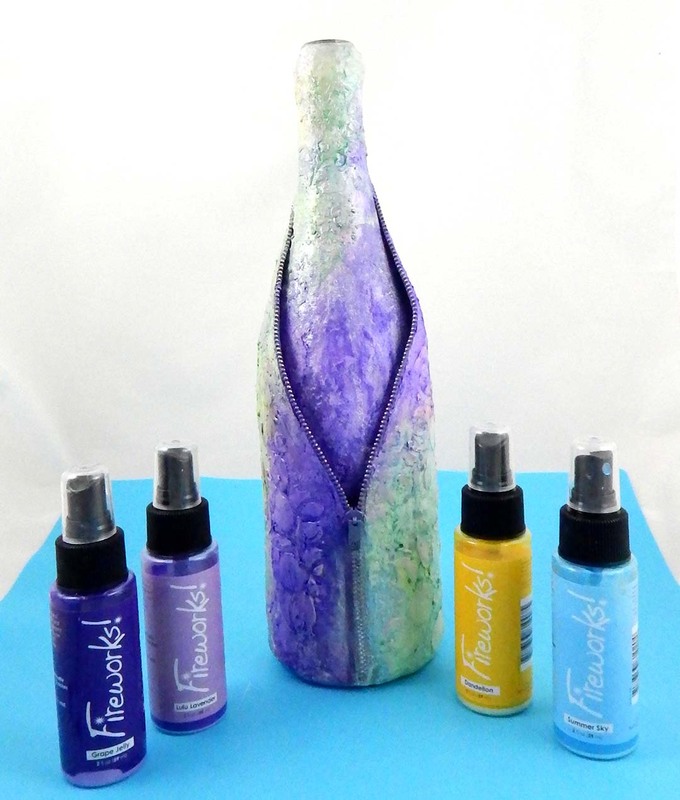 Color the bottle with Fireworks Shimmery Craft Sprays. Spray Fireworks onto the smooth side of the watercolor paper. Dry it completely. 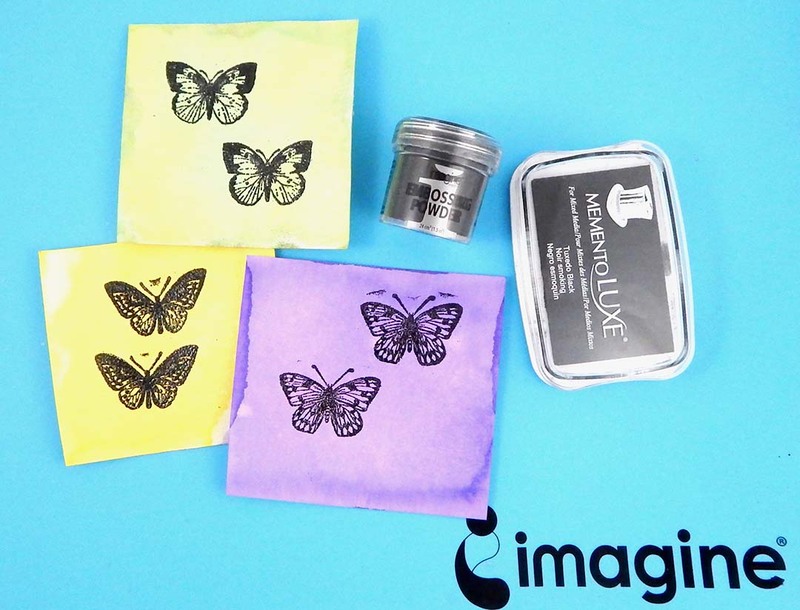 Stamp and emboss the butterflies with Tuxedo Black Memento Luxe and black embossing powder. Fussy cut the butterflies. For the antennas soak a piece of embroidery thread in glue. This will stiffen the thread. Cut little pieces for the antennas and glue to the back of the butterflies. 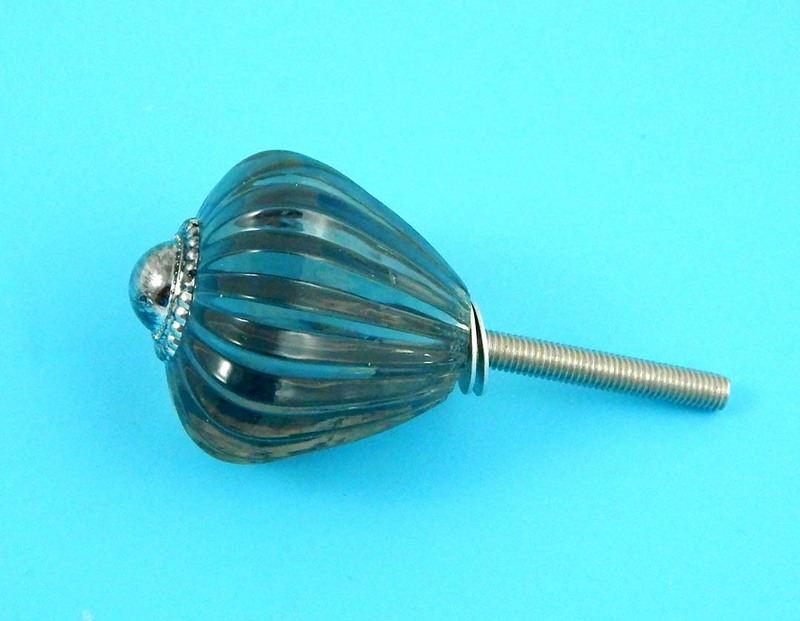 To make a decorative bottle stopper use a dresser pull knob. 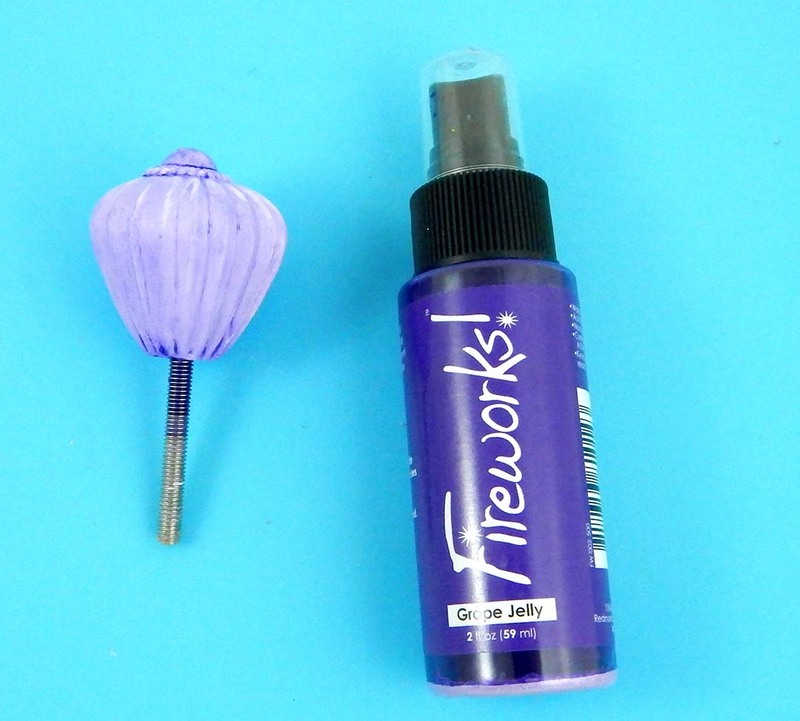 Apply gesso to the dresser pull knob then color with the Grape Jelly Fireworks Craft Spray. Then seal the knob with the spray sealer. To adhere the knob to the bottle, use a natural cork and glue. The cork usually expands when it is popped out the bottle, so in essence, it’s hard to stick back in the bottle completely. However, you can shave down the cork with a serrated knife. 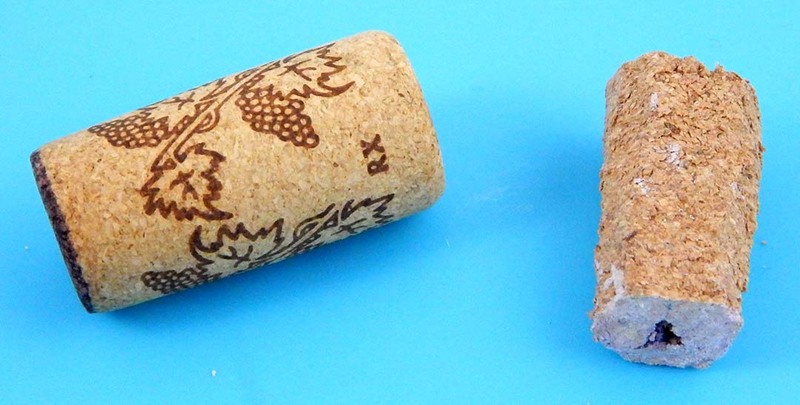 This image shows the cork before and after. Screw in the dresser pull knob into the cork. Apply E-6000 adhesive. 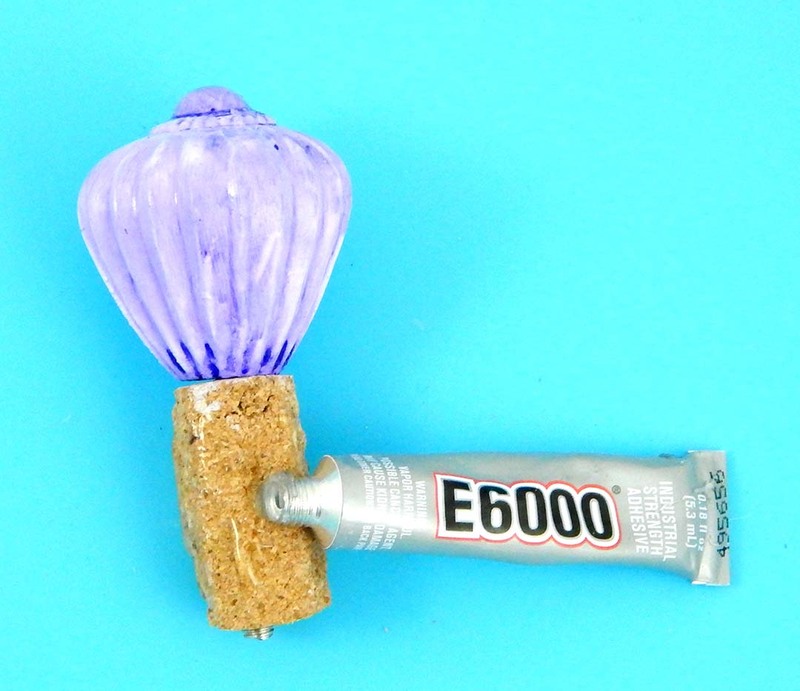 An alternative to using a cork, adhere the dresser pull knob with a two-part Epoxy clay. Place the corked knob in the bottle. Phew! Almost done. All that is left to do is to put it together. Glue the flowers in the area between the open zipper, tucking them under the edges. Glue butterflies around. Spray a little bit of sealer over the entire bottle. The pull knob’s neck area will need a ribbon to cover the seam and glued cork. 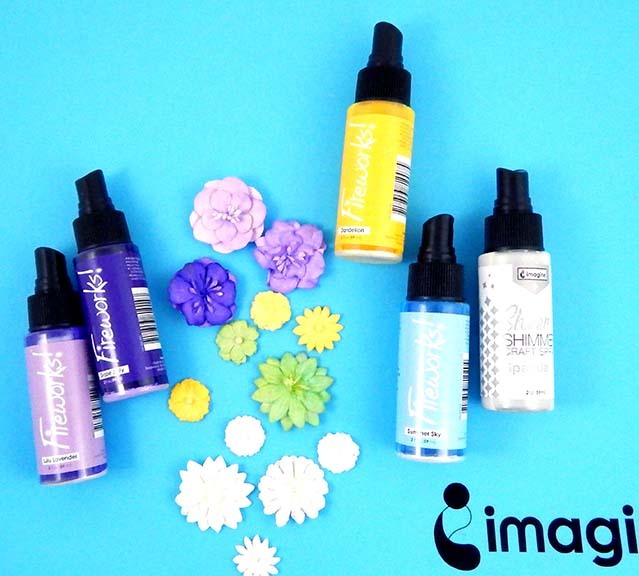 Embellish the bottle with charms, rhinestones, chains. 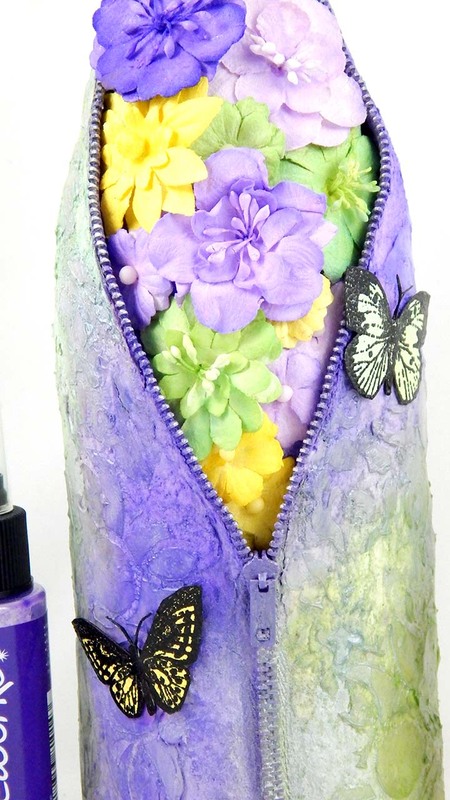 This entry was posted in 2018 ARTIST IN RESIDENCE, Advanced, DIFFICULTY LEVEL, Gift, Home Decor, Iris Rodriguez, PROJECTS, Wedding and tagged DIY Inspiration, Fireworks Spray, Fireworks!, Home Decor, INSPIRATION, Mixed Media, Sheer Shimmer Spritz, wine bottle. Bookmark the permalink.